Magnusson is a director of software developer Ongame in Stockholm Sweden which powers one of the largest poker operations, PokerRoom.com in the booming poker room industry. He is also a director of UK companies Ongame Limited and Nordicone Limited and has extensive financial and general management experience with major organisations like ABN Amro’s Alfred Berg Asset Management and the financial statistics department of the government of Sweden. He holds a Master’s degree in Economics from Uppsala University in Sweden. 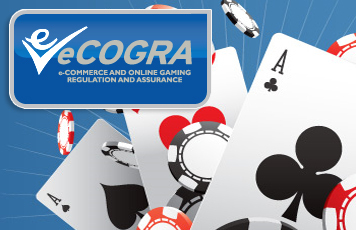 Ongame recently became the third major online gambling software company to join the eCOGRA self-regulatory initiative, which seeks to protect players through the “Play It Safe” seal on 56 top online casino and poker room sites. eCOGRA’s members now account for over 80% of the online casino industry’s turnover, and provide software to 3 of the top 6 poker networks. Although directors representing eCOGRA’s members now equal the number of independent directors, the organisation’s constitution is such that board control is still in the hands of the independent directors, as well as fundamental decisions such as which software suppliers may be admitted as members, and which online gaming sites have earned eCOGRA accreditation. eCOGRA provides an international framework of best operational and player protection practice requirements called eGAPs which is enforced through inspections and reviews, and continuous monitoring by independent global audit companies. Membership remains open to software companies and their operators. Presently the organisation is developing industry practices for mobile gaming and multiplayer casinos.